Sweden’s Interior Minister Anders Ygeman has said that his country may reject the asylum applications of up to 80,000 refugees and should prepare to deport them. Anders Ygeman said charter aircraft would be used to deport the refugees but it would take several years. Some 163,000 refugees applied for asylum in Sweden in 2015, the highest per capita number in Europe. The numbers have fallen significantly since Sweden imposed tighter border controls in 2016. Along with Germany, Sweden is a prime destination for refugees and other refugees entering the EU illegally. 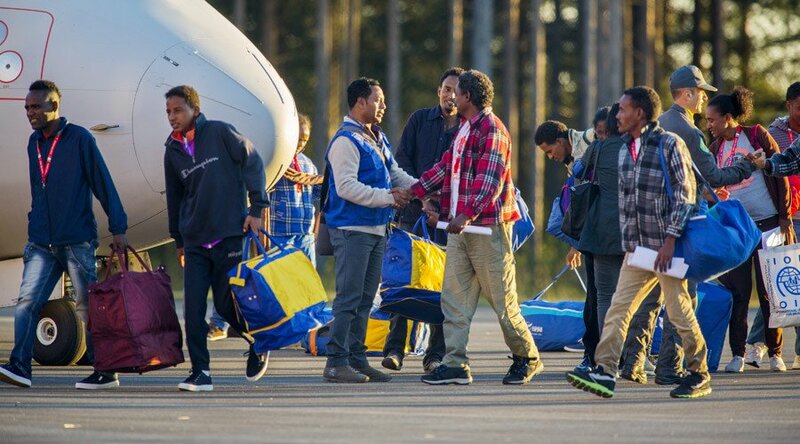 Of the approximately 58,800 asylum cases processed in Sweden in 2015, 55% were accepted. He later tweeted to say he had not taken a position on how many refugees had grounds for asylum, it being a matter for the authorities and the courts. More than one million refugees and migrants travelled to Europe in 2015, most fleeing conflicts in Syria, Iraq and Afghanistan. In the latest such accident, at least 11 migrants drowned – mostly children – after their boat capsized off the island of Samos, the Greek coast guard says. Several are still missing. On January 27, a draft European Commission report said Greece “seriously neglected” its obligations to control the external frontier of Europe’s passport-free Schengen zone. Greek government spokeswoman Olga Gerovasili accused the Commission of “blame games” and said it had failed to act on a program agreed in 2015 to relocate tens of thousands of migrants and refugees stranded in Greece.